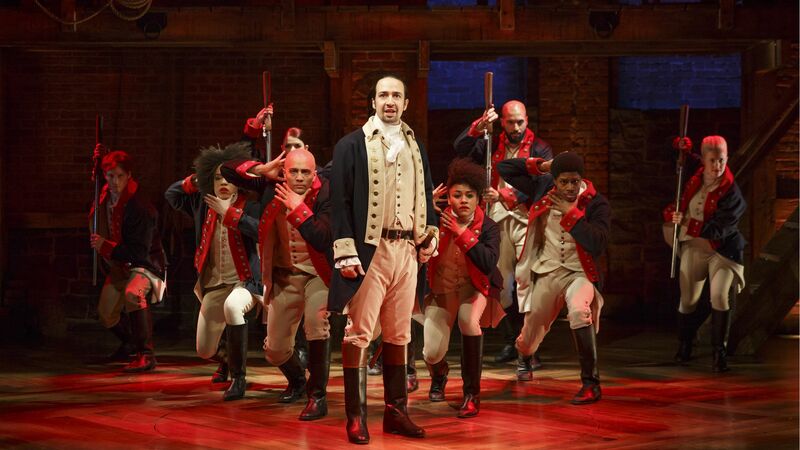 “Who lives, who dies, who tells your story?” The closing words of Lin-Manuel Miranda’s sensational musical Hamilton, these questions haunt both characters and audience from the moment they’re introduced in the first act. In the final scene after Hamilton’s untimely death, they receive a poignant answer: his wife, Eliza, who devoted the fifty years of her widowhood to shaping his legacy. As a family historian I find it awkward to wrap this question around someone whose story has been continually told, however imperfectly, when we are working to bring attention to the forgotten, but not inconsequential experiences of our families. Illuminating our family’s past adds to the broader scholarship on the American experience when we recognize the public value of our private work. All our discoveries, at the very least, “add specificity to the raw data.” Plenty is known about the Jewish community on the Lower East Side, for example, but the work I did tracing my Davis ancestors through their frequent moves and changes in profession provides a detailed example of Eastern European immigrants who arrived relatively early, but never established stability. Our best work, however, can exceed this minimum threshold to open up whole new areas of the database no historian has discovered. I’ve experienced this personally during my current project to tell the story of my Hepps ancestors in the steel town of Homestead. In embarking on this research, I thought acknowledging their role in their hometown’s Jewish community was just one facet of the story. But, it turns out, the story of the Homestead’s Jewish community is the one that was missing all along. Homestead’s history has been written often, but never with an acknowledgement of the contributions of the town’s Jewish residents, and the history of Jews in America continues to neglect the narrative thread of small-town communities. Tracing the lines of my Hepps family’s descent led me to this twice-neglected dataset. On one level, my research has been enormously satisfying. I’ve put the lives of my ancestors in context and come to thoroughly understand their stories. When Usnavi affirms, “I know them all, and that’s what makes my life complete,” I know I have earned that feeling of completeness, too. But what about the incomplete accounts historians have produced about the places and people that have become so dear to my heart? They were not excluded out of malice, but their absence leaves a hole in the record no one else sees and no professional historian is likely to take up. The void in my identity I sensed as a wondering child seems trivial compared to this one. 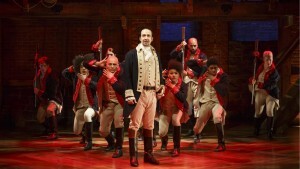 I hear “Who tells your story?” as a call-to-arms, because (to paraphrase another theme of the musical) if history hadn’t had its eyes on Hamilton, his wife’s efforts might not have been enough. As satisfying as the end of the musical is artistically, it’s not enough for me to know that this one man, Alexander Hamilton, has his legacy secure. Who will illuminate the stories of people who did not found nations? Who will write our ancestral communities back into the narrative? Everyday people like Usnavi. People like us. 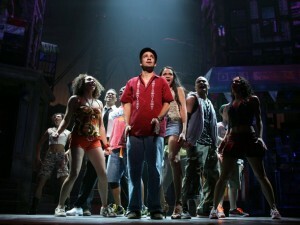 Some little high schooler’s gon’ be playin’ Usnavi! That little white kid is gonna know what a Puerto Rican flag is! His prediction has since come true, and his community’s flag has waved in the unlikeliest of corners. But what about ours? “Will they tell your story? Who lives, who dies, who tells your story?” Through In the Heights, I’ve come to hear the ethereal last lines of Hamilton as transcending both Hamilton and his wife, to whom they are literally addressed. As the company sings these words, Eliza stands at the very edge of the stage, backed by the whole cast, all of them facing us, the audience, head-on. The previous three hours have shown us that history can be reclaimed and given a new relevance. Now they are asking, will we rise to the challenge? So now I know who will tell my story.